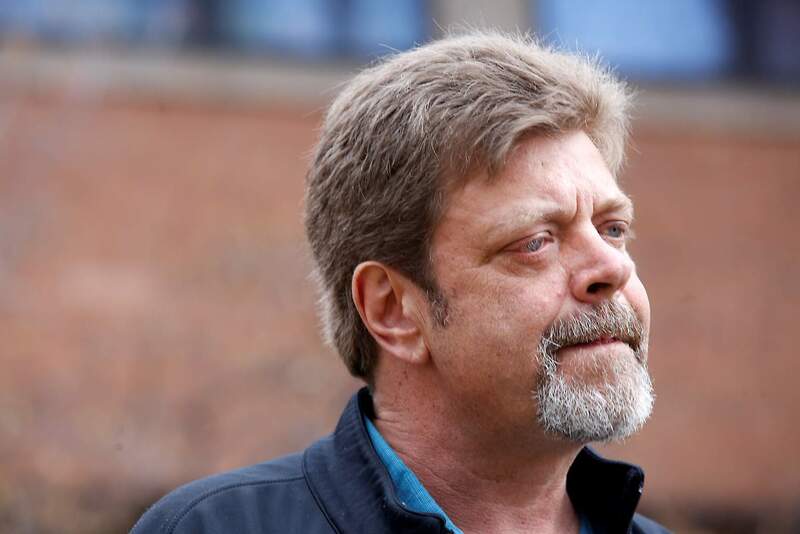 Mark Redwine, father of the late Dylan Redwine, who’s remains were found on Middle Mountain, talks about his relationship with ex-wife, Elaine Hall, Dylan’s mother, on Tuesday in front of the La Plata County Courthouse. Fighting back the tears, Elaine Hall speaks about her missing son in December 2012 while staying with a friend in Bayfield. 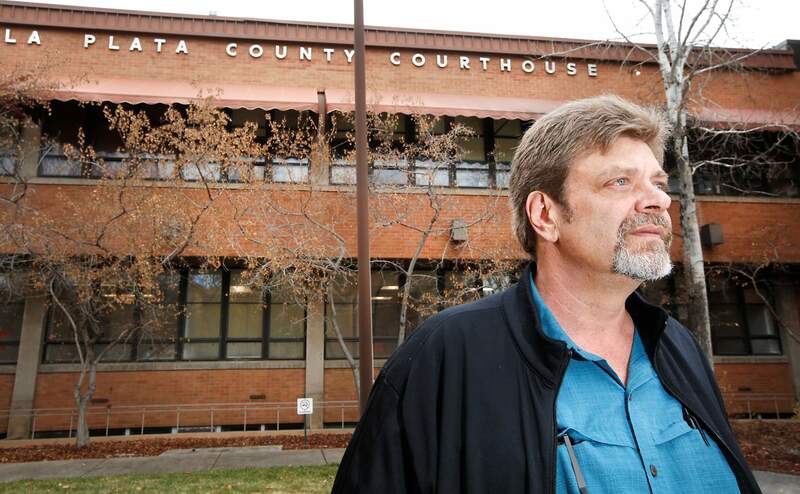 A contentious legal battle between Mark Redwine and Elaine Hall, the parents of a teen boy who went missing nearly four years ago, came to an end Tuesday in a La Plata County courtroom. District Judge William Herringer dismissed a countersuit filed by the father against his ex-wife. The initial lawsuit filed by Hall was dismissed late last year. 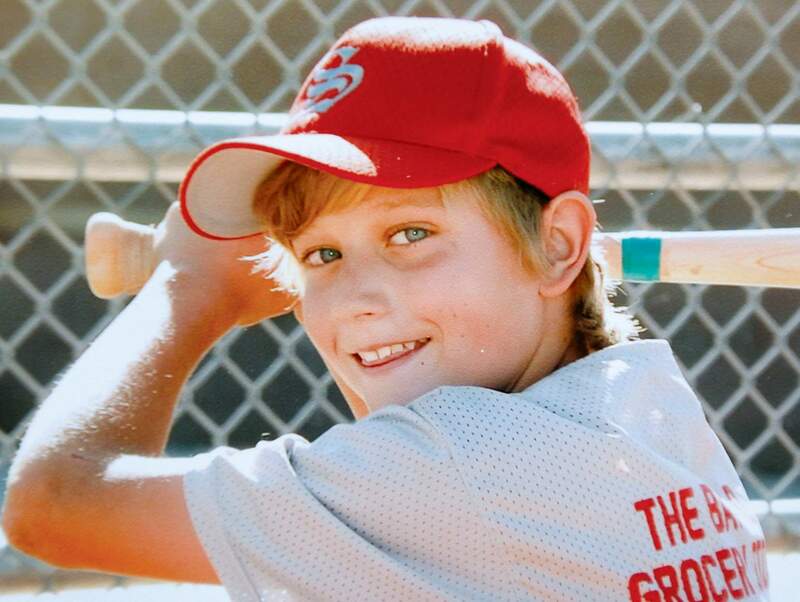 Dylan Redwine went missing in November 2012 and some of his remains were later found above Vallecito Reservoir. The cause of Dylan’s death remains unsolved. The feuding parents took the witness stand Tuesday during a half-day trial to litigate the counterclaim, which accused the mother of negligence and intentional infliction of emotional distress. More specifically, Redwine accused Hall of threatening him on social media, encouraging violence against him, stealing from his home, damaging his property, and generally blaming him for their son’s death when there is no evidence to suggest his involvement. Redwine and Hall tried to mediate their differences, but Hall said Redwine was asking for a $50,000 settlement, and that wasn’t going to happen. So they went to trial on Tuesday. In an oral ruling, Judge Herringer said Hall has expressed her opinion, and nothing she has said or done is so “extreme and outrageous as to shock the conscience” – a legal standard that must be met to prove emotional distress. And he said no evidence was presented showing she stole or vandalized anything of Redwine’s, and if so, what the value may have been. The judge said he was troubled by the manner in which the case was litigated. During testimony, he repeatedly stopped Redwine’s lawyer, Christian Hatfield, for his line of questioning, saying he asked compound questions that were more like a fishing expedition or recitation of facts rather than laying a foundation and seeking inquiry. 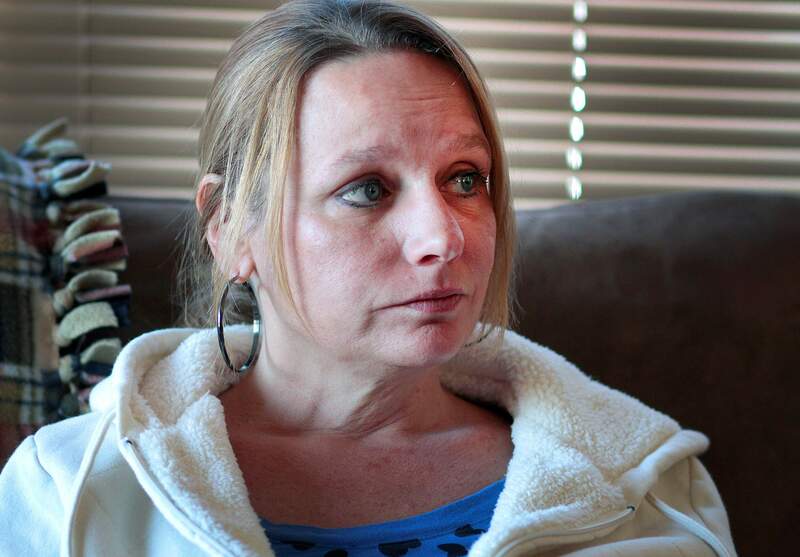 After Tuesday’s ruling, Hall said she is glad to have the case resolved, but she looks forward to the day when criminal charges are brought against Redwine, “which is the most important piece” to seeking justice for Dylan. In an hour-long interview after the ruling, Redwine said he doesn’t believe charges will ever be brought in the case, especially against him. “Would it surprise me, yes, because I don’t think that day will ever come,” he said. He’s lost faith in the La Plata County Sheriff’s Office, which is not staffed or equipped to handle an investigation of this magnitude, he said. He believes investigators were slow to respond, may have contaminated evidence by going in and out of his house – the last known place where Dylan was seen – and failed to collect possible evidence, such as a cereal bowl Dylan used the morning he went missing that was left on the kitchen counter. Redwine is not convinced a crime was committed, he said. There’s not a “speck of evidence” to suggest anything illegal happened, and the Sheriff’s Office hasn’t revealed why it thinks Dylan’s death is a homicide, he said. It’s “within the realm of possibilities” Dylan ran away or went for a hike, and a hunter heard him in the woods and accidentally shot him and covered it up, he said. It’s just one possibility. He’s trying to keep an open mind, whereas his ex-wife concluded from Day 1 he was involved and pushed investigators in that direction, he said. He’s worried Tuesday’s ruling will embolden Hall to make more accusations against him and rally others to condemn or harm him. Dylan, who was 13 at the time, went missing Nov. 19, 2012, a day after he arrived in town from Monument for a court-ordered visit with his father for Thanksgiving. The community and law enforcement organized numerous searches until finding a few bone fragments June, 23, 2013, in a forested area on Middle Mountain several miles northeast of his father’s home near Vallecito Reservoir. The La Plata County Coroner’s Office classified the death as a homicide, and in August 2015, the La Plata County Sheriff’s Office identified Mark Redwine as a person of interest. But no arrests have been made. Redwine said he filed the counterclaim that was dismissed Tuesday in response to Hall’s wrongful-death lawsuit, in which she accused her former husband of breaching his parental duties, and, in effect, causing Dylan’s death. The wrongful-death lawsuit was dismissed in December 2015 because it was filed after the statute of limitations.